Your library is often a spot in your home that forms the perfect bachelor pad and even functions as a means to entertain your closest buddies. Therefore, there is never a one-stop, easier done than said function to make it stand out. It is something that you will have to plan and think through in order to make it worthy of everyone’s attention. Your library is the seat of intellect and a hub of mental stimuli and it requires constant maintenance and care. Let’s’ start with the most basic things that can add character to your style of “book keeping,” shall we? If you already have some sturdy furniture lying around that just won’t quit, chances are that you have stumbled upon some really strong and durable wood. So, time is now to refurbish that item to make it even more worth your while. Yes, not all of us can spend a large sum of money on transforming our reading space. Therefore this is the right way to go about it and make the most of the furniture and space that you already have with you. For instance, in many homes there are certain constructs or furniture that come installed in the walls or affixed with other durables. You might find that those are particularly hard to separate and dismantle. Thus, it is suggested to build around them, include them in your new and improved book cabinet or shelf for holding old volumes of precious reads as they would make for the most useful and durable book cases or racks. 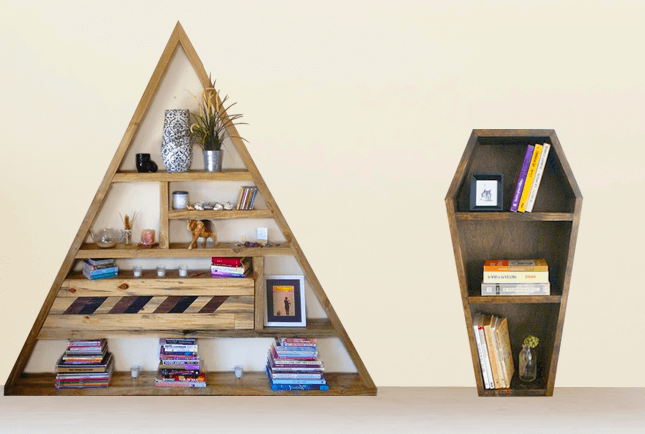 If you already have an old and wobbly book case or cabinet and you think that treating it to some additional wooden parts and panels would restore its beauty, then by all means do it. You can start by measuring the dimensions of the piece and carve out your very own handmade book cabinet. Keep some sand paper, polish and/or varnish handy and you can restore the choppiest of wooden surfaces. If you do have a budget for something new and interesting, you can easily find your object of desire in handmade furniture shops or artisan marketplaces online. There are so many options for handcrafted furniture such as chairs, recliners and handmade tables with Amish style carvings, etc. 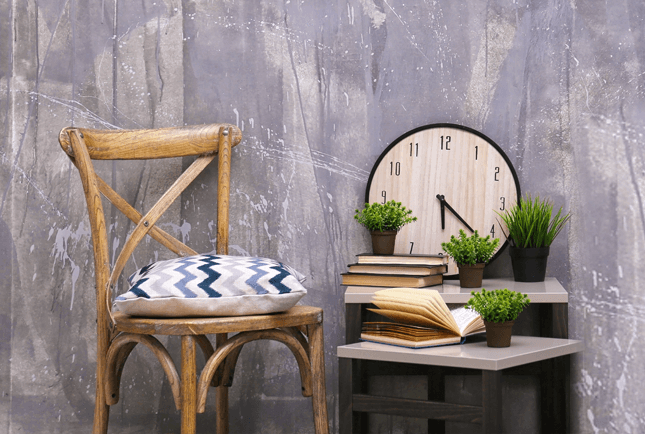 You can reinstate the entire look of your library with the help of handmade book cases and shelves, strongly built cabinets and table tops and what not. All of them are 100% handcrafted and thus are very reliable and durable to begin with. There are many artisan creations out there that are perfect for all types of interiors you might be aiming for. If you are designing a library for your kids, you will be able to find the perfect mix of color and craftsmanship. Handmade book cases and cabinets are especially designed keeping in mind their soft hands. You get rounded edges and smoother surfaces with their favorite cartoons or historical characters painted on them. and lamp shades as well. The desks, stools and chairs are accented with molds and borders at the edges along with modern style pull out drawers and storage spaces. You get high strength table tops, carefully put together laminates and dependable hinges that are meant to last you for decades. The world of handmade book accessories is very vast. A certain book cover or a collection of handmade paper weights could do the trick. Handmade book accessories are a new rage nowadays and the list is practically non exhaustive. You can find a plethora of items that can give your library a surreal look straight from the latest Bond movie. Talk about handcrafted pens and paper clips and personalized journal books and initial bookmarks with special messages and phrases printed on them and what not! Handmade book accessories are the way to go if you seek a look for your library that is unmatched and craved for by every book lover. And the best part is that you can find of all it online. Hi, I am John Miller. I love and live for everything artistic. My only crime is that I observe too much and then make sure to write it down before I forget all about it. I am a quality manager at Artisna Marketplace.